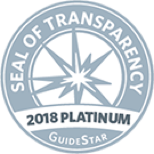 All of the members of the DBSA Honorary Advisory Board exemplify that people living with mental health conditions can and do live extraordinary lives unlimited by a diagnosis. We are immensely honored to have these talented and inspiring individuals as members of our Honorary Advisory Board, and even more appreciative of the work each has done to increase the understanding of, and to reduce the stigma associated with, depression and bipolar disorder. Jessie Close is a consumer bravely sharing her story nationally to fight stigma through Bring Change 2 Mind (BC2M), a new campaign established in part by her sister, Glenn Close. DBSA is proud to be a partner in this important campaign, the first effort of this magnitude in U.S. history. Oscar-winning director Ron Howard generously donated his time in directing BC2M’s first PSA that features Jessie with her sister, Glenn. Jessie has spoken about BC2M, as well as her own story, on The View and Good Morning America. She is the author of The Warping of Al and is coming out with her second book, Silence You. Marya Hornbacher is an award-winning journalist and the author of five books, including the New York Times best seller, Madness: A Bipolar Life. 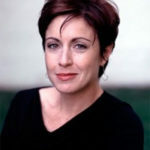 Hornbacher was nominated for a Pulitzer Prize for her best seller, Wasted, and lectures frequently on the subject of mental health. Long before there was research into the field of childhood bipolar disorder, Hornbacher was struggling with the highs and lows of the illness, showing the first signs at the age of four but going undiagnosed for another 20 years. A frequent consultant and interview subject, Hornbacher finds inspiration in the message of strength her readers have shared with her and in the people who are living with mental illness day by day. Kay Redfield Jamison, PhD, is professor of psychiatry at the Johns Hopkins University School of Medicine and codirector of the Johns Hopkins Mood Disorders Center. She is also honorary professor of English at the University of St. Andrews in Scotland and author of the national best sellers An Unquiet Mind: A Memoir of Moods and Madness and Night Falls Fast: Understanding Suicide, as well as Exuberance and Touched with Fire: Manic-Depressive Illness and the Artistic Temperament. Her latest book, Nothing Was the Same: A Memoir, was released in 2009. Additionally, she coauthored the standard medical text on manic-depressive illness and is author or coauthor of more than 100 scientific papers about mood disorders, creativity, and psychopharmacology. Dr. Jamison is the recipient of numerous national and international scientific awards, including a John D. and Catherine T. MacArthur Fellowship. 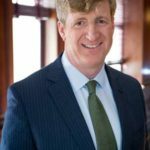 Patrick J. Kennedy is the nation’s leading political voice on mental illness, addiction, and other brain diseases. While representing Rhode Island in Congress, he fought a national battle to end medical and societal discrimination against these illnesses. Since leaving Congress to devote himself to brain advocacy, he founded The Kennedy Forum, which provides leadership in the mental health community, and co-founded One Mind, a global leader in open science. He co-authored A Common Struggle, which outlines both his personal story and a bold plan for mental health in America. Patrick most currently served on the President’s Commission on Combating Drug Addiction and the Opioid Crisis. He lives in New Jersey with his wife, Amy, and their four children. All-Pro NFL punter Greg Montgomery’s journey with bipolar disorder began in 1997 while playing with the Baltimore Ravens. Ultimately, his journey towards recovery has been a positive and successful one. Now almost 14 years after his diagnosis, Greg is a successful punting consultant and powerful advocate in the field of mental health. He recognizes that help is desperately needed for the millions living with mental illness and is making a difference by speaking out. Greg’s personal story is featured in the feature, Madness in the NFL: The Greg Montgomery Story, produced by NFL Films. Through his blog, Zen In The Art of Living Bipolar, Greg openly shares his experiences of anxiety, depression, and bipolar disorder with educational, honest, and engaging content. Linda Gray Sexton is the author of two memoirs, two books of non-fiction, and four novels, as well as being the literary executor of her mother, the late Pulitzer-Prize winning poet, Anne Sexton. Searching for Mercy Street: My Journey Back to My Mother, Anne Sexton, her first memoir, was published to critical acclaim and named a New York Times Notable Book, as well as being a Pen Non-Fiction Award Finalist. She is the author of Points of Light, a novel that was made into a Hallmark Hall of Fame special and translated into thirteen languages. In whatever genre she chooses, she writes about the family, its secrets, and its intimacies. She graduated from Harvard University and lives in California with her husband and two Dalmatians. Her current memoir, Half in Love: Surviving the Legacy of Suicide, is a very personal account of her struggle with depression, bipolar disorder, and the tendency to suicide, which she inherited like a legacy from her mother, who killed herself when Sexton was twenty-one. When Sexton turned forty-five, the same age at which her mother had died, she found herself increasingly drawn into the vortex of depression that appeared to have just one way out. Through the help of family, therapy, and medication, she curbed the cycle of suicide that she once seemed destined to inherit. Half in Love is that story. Andrew Solomon’s book, The Noonday Demon: An Atlas of Depression, has won him fourteen national awards, including the 2001 National Book Award, and has been published in 22 languages. It was also a finalist for the Pulitzer Prize. It has been on the New York Times best seller list in both hardback and paperback and has been a best seller in seven foreign countries. Mr. Solomon has lectured on depression around the world. He serves on the boards of the National Mental Health Awareness Campaign and the Depression Center of the University of Michigan, as well as Cold Spring Harbor Laboratory, the Alliance for the Arts, the Alex Fund, the American Council for Cultural Policy, the Worcester Foundation for Medical Research, the Rita Fund, the Larry Kramer Initiative for Gay and Lesbian Studies at Yale University, and the World Monuments Fund.